Closeouts. Splash into your rainy day with these Havaianas’ Helios mid rain boots on your feet. 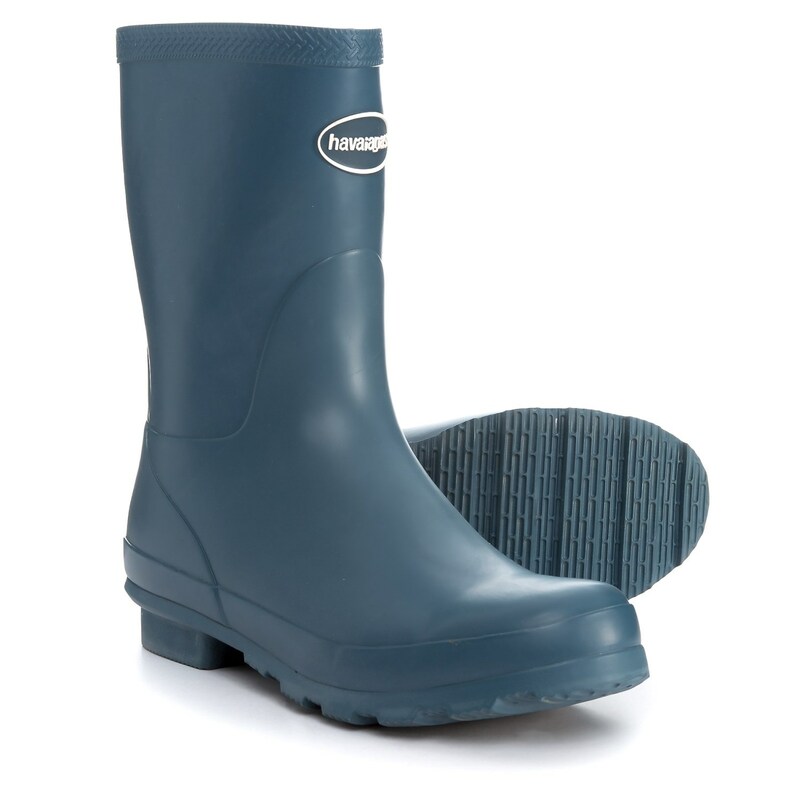 They’re crafted from waterproof rubber to keep tootsies dry and lined with soft fabric for added comfort.